TekSynap, partnered with Harris, played a pivotal role in securing the National WiFi Program. Under this contract, we are tasked with implementing a wireless location-based grade network for 111 VA Medical Centers. The wireless location-based infrastructure will be installed at facilities across the US, Alaska, Hawaii, and Puerto Rico. The VA WiFi location-based infrastructure offers the VA secure, wireless communications for a broad range of data and telecommunications needs including video, voice, data, and Real-Time Location Services (RTLS). The 802.11 a/b/g/n wireless communications network will also support a wide range of mission applications for the VA including asset tracking, radio frequency identification (RFID) and barcode medical applications. 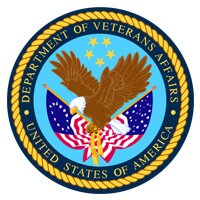 The Veterans Health Information System and Technology Architecture (VistA) Health Information Technology (IT) system provides an integrated inpatient and outpatient electronic health record for VA patients, and administrative tools to help VA deliver the best quality medical care to Veterans. We were tasked with developing a Service Oriented Architecture (SOA) solution for the VA to expose all of their exposing MUMPS APIs using IBM’s WebSphere SOA Suite. We analyzed the MUMPS APIs and then developed Java based web services for each of the MUMPS APIs. The web service follows the JAX-WS specification. Our team used Eclipse IDE to build the web services and SoupUI to test the individual web services. The web services were registered to the WebSphere’s Service Registry and Repository (WSRR) through Rational (plug-in for Eclipse for registering web service).